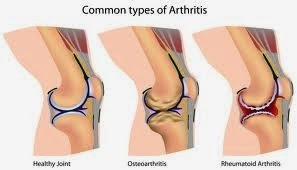 What Causes Arthritis and Rheumatic Disease? Scientists are studying risk factors that increase the likelihood of developing a rheumatic disease. Some of these factors have been identified. For example, in osteoarthritis, inherited cartilage weakness or excessive stress on the joint from repeated injury may play a role. In lupus, rhumatoid arthritis, and scleroderma, the combination of genetic factors that determine susceptibility and environmental triggers are believed to be important. Family history also plays a role in some diseases such as gout and ankylosing spondylitis. 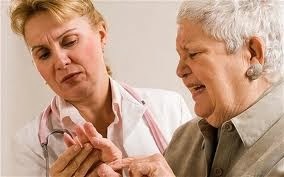 How Are Arthritis and Rheumatic Diseases Diagnosed? This test checks blood levels of antibodies that are often present in people who have connective tissue diseases or other autoimmune disorders, such as lupus. Since the antibodies react with material in the cell's nucleus (control center), they are referred to as antinuclear antibodies. There are also tests for individual types of ANAs that may be more specific to people with certain autoimmune disorders. ANAs are also sometimes found in people who do not have an autoimmune disorder. Therefore, having ANAs in the blood does not necessarily mean that a person has a disease. This is a nonspecific test used to detect generalized inflammation. Levels of the protein are often increased in patients with active disease such as rheumatoid arthritis, and may decline when corticosteroids or nonsteroidal anti-inflammatory drugs (NSAIDs) are used to reduce inflammation. This test measures the level of complement, a group of proteins in the blood. Complement helps destroy foreign substances, such as germs, that enter the body. A low blood level of complement is common in people who have active lupus. This test determines the number of white blood cells, red blood cells, and platelets present in a sample of blood. Some rheumatic conditions or drugs used to treat arthritis are associated with a low white blood count (leukopenia), low red blood count (anemia), or low platelet count (thrombocytopenia). When doctors prescribe medications that affect the CBC, they periodically test the patient's blood. This blood test is commonly ordered in patients who have a rheumatic disease, such as lupus, to monitor for underlying kidney disease. Creatinine is a breakdown product of creatine, which is an important component of muscle. It is excreted from the body entirely by the kidneys, and the level remains constant and normal when kidney function is normal. This blood test is used to detect inflammation in the body. Higher sed rates indicate the presence of inflammation and are typical of many forms of arthritis, such as rheumatoid arthritis and ankylosing spondylitis, and many of the connective tissue diseases. This test and the test for hemoglobin (a substance in the red blood cells that carries oxygen throughout the body) measure the number of red blood cells present in a sample of blood. A decrease in the number of red blood cells (anemia) is common in people who have inflammatory arthritis or another rheumatic disease. This test detects the presence of rheumatoid factor, an antibody found in the blood of most (but not all) people who have rhumatoid arthritis. 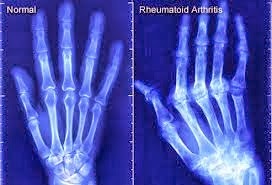 Rheumatoid factor may be found in many diseases besides rheumatoid arthritis, and sometimes in people without health problems. Synovial fluid may be examined for white blood cells (found in patients with rhumatoid arthritis and infections), bacteria or viruses (found in patients with infectious arthritis), or crystals in the joint (found in patients with gout or other types of crystal-induced arthritis). To obtain a specimen, the doctor injects a local anesthetic, then inserts a needle into the joint to withdraw the synovial fluid into a syringe. The procedure is called arthrocentesis or joint aspiration. In this test, a urine sample is studied for protein, red blood cells, white blood cells, and bacteria. These abnormalities may indicate kidney disease, which may be seen in several rheumatic diseases, including lupus. Some medications used to treat arthritis can also cause abnormal findings on urinalysis. This test determines the number of white blood cells present in a sample of blood. The number may increase as a result of infection or decrease in response to certain medications or in certain diseases, such as lupus. Low numbers of white blood cells increase a person's risk of infections.